Give to the arts; one day they’ll give back. 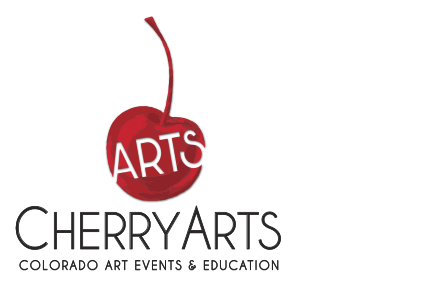 Since 1991, CherryArts has been committed to supporting arts education in Colorado. Your donation directly supports our 501c3 non-profit mission of supporting art education and access to the arts. Through education programs we are able to extend our reach beyond the three days of the Cherry Creek Arts Festival and have an impact in the lives of young people. It is a way for the organization to give back to the community while supporting the arts. These education and outreach programs impact over 20,000 students annually. CherryArts receives its support from corporate sponsorships, Scientific and Cultural Facilities District (SCFD) and grant funding, on-site sales and the generous giving of the Patron and Donor individuals and corporations. $10 provides art education to 5 kids in Colorado. The latest Colorado Creative Industries Study measures access to arts education across Colorado. They reported that there are over 29,000 students attending public k-12 schools with no formal arts education. This number has remained stable despite the call to action from the 2008 survey, which reported almost the same result. The survey also revealed that Colorado public high schools offering arts education have higher scores on state tests in reading, writing and science regardless of student ethnicity or socioeconomic status, these schools were also found to have lower dropout rates. A cultural agency for the City of Denver, Arts and Venues, surveyed Denver residents to assist in the creation of the cultural plan, Imagine 2020. They found that while the public has overwhelmingly voiced support for arts education in Denver schools, more than 85% say that it is extremely important for children to have access to arts education. However, fewer than 20% of residents feel the amount of arts education in Denver is sufficient. According to the survey Denver residents’ number one dream for arts culture and creativity in 2020 is for arts education for every child in every school. $1,500 sends our Mobile Art Gallery to a school or business of your choice. All donations are welcome, recognized and tax deductible to the full extent of the law. Corporations are also invited to opportunities that are good for community and good for business. Learn about our sponsorship programs HERE. Please consider CherryArts for your year-end charitable donations. ART-felt thanks for your support! Contact Tara Brickell for more information at 303.355.2787 x 219 or via email at hello@cherryarts.org.